Midnight Farm relys daily on help from volunteers. Our volunteers work in the therapeutic riding program as sidewalkers and leaders. They connect one on one with our riders in a way that only such giving hearts can. 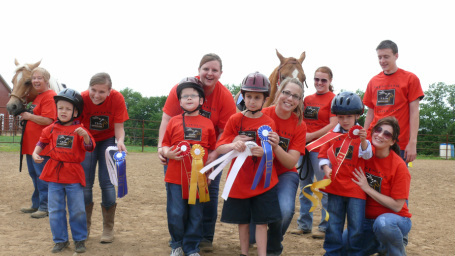 Click here if you would like more information on volunteering in our therapeutic riding program. We also have volunteers serving in our day service program. Our classes range from cooking, to pottery, gardening, and small animal care. Here is more information about working in our day services.